I am delighted to announce that Sue Owen, Permanent Secretary at the Department for Culture, Media & Sport (DCMS), will be taking on the role of Civil Service Diversity Champion from the beginning of August. Sue is replacing Simon Fraser, who is stepping down as Permanent Secretary at the Foreign & Commonwealth Office at the end of July. During his time as Civil Service Diversity Champion, Simon has spearheaded a renewed focus on diversity and inclusion across the Civil Service, including the publication of the Talent Action Plan in September, and a refresh of that in March. I am grateful to Simon for his leadership and passion, which has ensured that diversity and inclusion have been at the very heart of the Civil Service leadership agenda for the last year. Sue has been committed to inclusion in the workplace for many years, and for the last year has been a powerful advocate for Lesbian, Gay, Bisexual and Transgender colleagues in her role as Civil Service LGB&T Champion. I am delighted that she is going to continue with this role alongside her new wider remit. Over the past year I have seen the passion and dedication that civil servants all over the country demonstrate when it comes to celebrating diversity and inclusion. 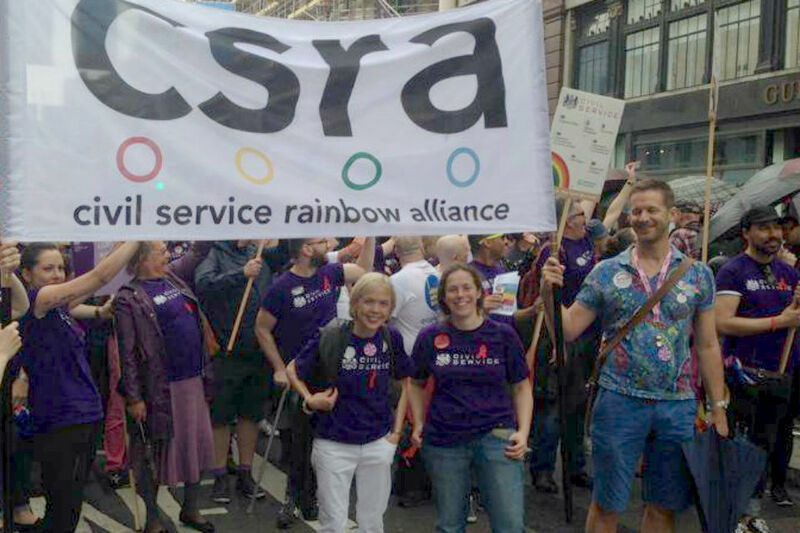 On Saturday, for the second year running, I joined our Civil Service Rainbow Alliance colleagues marching at London Pride. Such events show how far we have come, but also remind us that we must continue to defend the right for all individuals to thrive and succeed, no matter their background or identity. I’m thrilled to be taking on this role at such an important time in the Civil Service’s journey. Under Simon’s stewardship we are clearer than ever on the barriers facing our colleagues from under-represented groups, and on what needs to be done to remove them. I look forward to working closely with my fellow permanent secretary champions to ensure that those actions become reality for civil servants all over the country. scoping a degree-level Apprenticeship in Business Management and piloting a degree-level Apprenticeship in Digital and Technology starting this autumn. We will shortly be commissioning a piece of research to offer insights into how we can go further, particularly to attract more people from lower socioeconomic backgrounds to join the Civil Service Fast Stream. 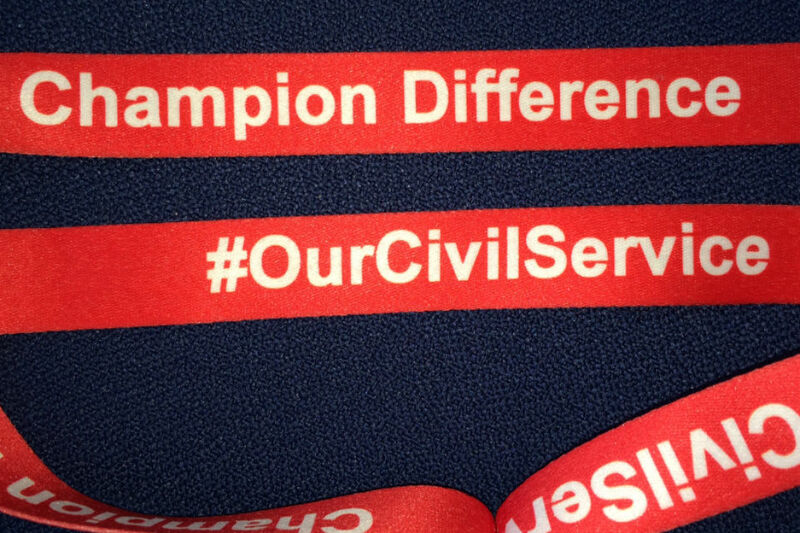 I am, therefore, delighted to announce that Jon Thompson, Permanent Secretary at the Ministry of Defence, will be taking on the new role of Civil Service Social Mobility Champion to lead this work. Ensuring that the Civil Service is attracting, developing and retaining the most talented individuals has never been more important. We know that the most successful teams are those that represent diversity of thought, experience and background. We know that we have more to do on social mobility, and that we don’t yet have all the answers. The research we are commissioning will give us strong insights into the barriers faced by those looking to join the Civil Service from lower socio-economic backgrounds. I am excited about driving this work forward. Social mobility is something that is close to my heart – I went to a comprehensive school, took an apprenticeship at 18 and find myself now as the Permanent Secretary of the Ministry of Defence. I am passionate about encouraging individuals from all backgrounds to aim high and achieve their potential too, and in doing so to help the Civil Service become a truly socially inclusive employer. TAP refresh - Challenge, Change, Champion! No point in aiming high, when the selection process throughout focuses on similar people, white middle class and Russell Uni, chosen by similar people. Unconscious bias rules. Why oh why are we paying yet another person a large salary to promote what, as an equal opportunities employer, we should be doing already????? I haven't met one civil service fast-streamer who isn't largely exactly the same as the other - you can spot them a mile off! Their extra curricular activities and skills and experience they bring to bear during their interview (generally) come from a position of being able to afford an education and opportunities which bring all the examples necessary to provide evidence for competences. I have been in the civil service for over ten years and the same people are being recruited, and groomed for the top, as always and their backgrounds - in my experience - are anything but diverse. Good to see a permanent secretary making a virtue of the fact that he went to a comprehensive school and took an apprenticeship at 18. Until very recently the great myth that the only way to get to the top was via a grammar school and Russell Group education reigned supreme, and there was constant insulting talk about "bog-standard comprehensives" - one of the most patronising terms ever uttered. I went to a so-called "grammar" school (although it was really semi-comprehensive) and an allegedly top university in the 70s, the worst decade in history to be educated. Both proved to be total TITANICS and I am a very long way from becoming a permanent secretary. Social mobility is, and always was, less dependent on the type of educational establishment that you attended and more on the increasingly capricious fortunes of the global economy. Thank God that hard fact is now being recognised where it needs to be - at the top of shop. To Peter Handy and Glen R - the answer is in your question. The reason we have these networks and champions (ugh, horrible word) is because we DON'T do this stuff naturally. Staff who identify as members of a minority group are also more likely to report DHB issues or get turned down at promotion, as evidenced by report after report. It's like when people question why we have Gay Pride but no Straight Pride. Be glad you don't need one. Well it's about time there was something like Hetero or Straight Pride. Allow people who prefer traditional family values to celebrate those values. I can't see anything wrong with that. Not entirely sure what "traditional family values" are. And do LGBT people necessarily or by default want anything different from their family life than hetreosexual people? There are surely as many variants of family values as there are individuals and what matters, in my opinion, is that different family set-ups (as distinct from values) are recognised as legitimate alongside those that society and state have always recognised. If we can't do this within the Civil Service and make full use of the available talent in the workplace (making use of a diversity of backgrounds and perspectives) how can we properly represent and serve all sections of the population? This rationale applies to pretty much any minority group you care to name but seems to me to be particularly acute around LGBT and socio-economic diversity where difference is not physical and therefore discrimination is not always so readily apparent in the same way as gender or race where you can largely SEE when there is a lack of diversity. Darren, what does 'DHB' stand for (as in 'DHB issues')? It's not an abbreviation I've ever seen before. Thanks. Although I can see where Vicky S is coming from, I wanted to assure her there is variety in the Fast Stream. I am one of many who came through the in-service route, who passed internal tests (with no University qualification) and entered the Fast Stream through the same assessement centre as the graduates. All at the grand old age of 32 and coming from socio-economic background that was in no way financially privileged. Yes there is more to do, but maybe there are Fast Streamers out there that you can't quite spot a mile off! "Well it's about time there was something like Hetero or Straight Pride. Allow people who prefer traditional family values to celebrate those values. I can't see anything wrong with that." I guess not, but it would threaten to be an utterly unremarkable event. I can't see that the right of males and females to enjoy intimacy within marriage , or similar, has ever been challenged at any point in history. However all this equality is blinkered Directed at the LGBT group first followed by Race and gender. Why doesn't our diversity champion look at real minority groups ones that don't get the publicity and attention! Jon Thompson is the permanent secretary of my own employing department (MOD), with which I have 31 years’ continuous service. About 20 years ago I recall something of a big deal made about the fact that the incumbent permanent secretary of MOD, Sir Christopher France, was of working class stock, was grammar school educated (East Ham Grammar, which my late father attended, funny old thing) and attended university (don’t recall whether it was Russell Group one). Until very recently, the very well-worn myth was being put about, very vocally, that this was the only way to get to the top, both in the civil service and elsewhere. It is therefore truly refreshing to see real leaders come out and make such great play of how they have broken that extremely outdated traditional mould. "However all this equality is blinkered Directed at the LGBT group first followed by Race and gender. Why doesn't our diversity champion look at real minority groups ones that don't get the publicity and attention!" I will put aside the obvious omission, the disabled. As far as I can see there isn't a pecking order for addressing equality issues , where's the evidence for that? If any particular group has concerns or a department needs to make staff aware of equality or diversity issues it is entirely proper for them to do so , it is entirely consistent with the Equality Act. Taking issue with what you describe as "real minority groups " I can't really comment as you have not described them. However it wasn't that long ago that capable people could be refused a job or suffer harrassment because they were black, had a disability , were female and married or because of their private life. If this were the 60s, would the group you refer to have been barred for working for the Bristol Bus company, or paid less than the going rate for working at the Ford Dagehham plant ? curious. It would be nice if there wasn't a need for some groups to express concern about equality issues, or indeed promote equality in general. But in the real world people do insist on treating some people unfairly and indeed, in some cases ,illegally . This is either because they cannot tolerate the presence of (insert protected group here) or simply through negligence. That being the case, employers will always have a duty to treat such mattters seriously.